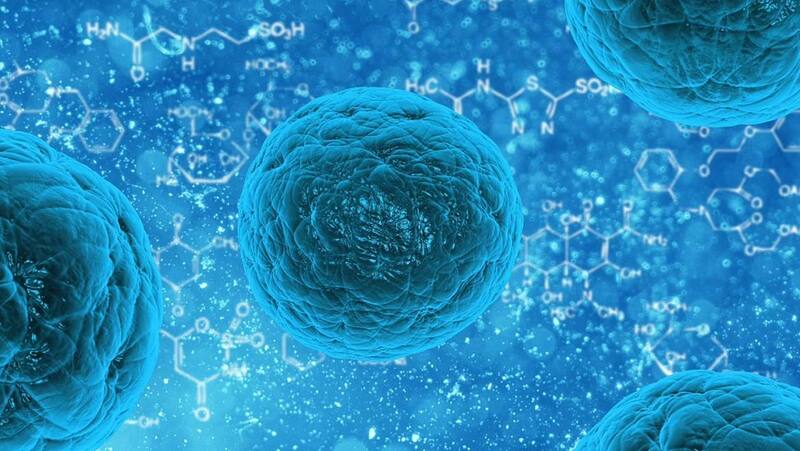 Stem cell technology has seen vast advancements as a result of the discovery of the Yamanaka factors. They are a group of four transcription factors that can be activated to convert an adult cell into a usable stem cell. These cells, known as induced pluripotent stem cells (iPSCs) may be the future of some medical disciplines, as they can technically grow into any type of cell, thus implying the possibility of tissue restoration for patients with severe injuries. However, iPSC-driven regenerative science is hampered by issues that have become associated with Yamanaka factors. They include the reduced ability to convert (or re-programme) all the cells in a given sample. New techniques arising from the research into these effects include the enhancement of Yamanaka effects using synthetic RNAs. However, even these innovations stumble in the face of real-life clinical demands such as re-programming cells freshly taken from a living patient. A team of researchers has demonstrated the improvements of a new technique: the use of yet another form of RNA that has become relevant to medical research as of late. These are microRNAs, or miRNAs. Research and development that used stem cells experienced a near shut-down in the 2000s due to the failure to find sources that were not controversial or divisive for one reason or another. Fortunately, the work of researchers such as Yamanaka and Takahashi resulted in the reliable re-programming of adult cells into a form of stem cell called an iPSC. The original cells were induced to ‘revert’ to the desired embryonic-like state through the expression of four transcription factors: c-MYC; KLF4; OCT4 AND SOX2. In theory, the use of these factors, known as Yamanaka factors or OSKM results in an unlimited supply of stem cells. This is good news for scientists working in the areas of drug development or clinical research. However, even with these factors, cellular re-programming methods (which require additional components to ensure OKSM-induced pluripotency ‘sticks’) resulted in low re-programing efficiency, or actual proportion of cells that become stem cells. This can be as low as 0.013% of a total number of cells in a given sample. This, in turn, leads to reduced colony numbers (or populations of new cells) generated after the re-programming event. This low efficiency is related to a complicated interplay of factors. However, research has found that re-programming through the delivery of benign viruses that convey the necessary modulator RNAs to the target cells can have reduced efficiency in comparison to other, non-viral methods. This may be due to the ‘anti-viral’ responses associated with the cells in question. On the other hand, viral methods are associated with high (~100%) success rates (defined as the generation of three or more stem cell colonies). Therefore, new and more effective methods of modulation needed to be found and assessed. A recent example of these are synthetic micro-RNAs (mRNAs) containing artificially-modified bases (or subunits of RNA), which have increased re-programming efficiency to as much as 4.4%. These modulators (known as mod mRNAs) have produced these results with high reliability in cultured cells of well-known experimental lines such as BJ fibroblasts. However, these promising results decline when mod mRNAs are called upon to do the same with novel cells recently isolated from another source such as a living human. These differences in re-programming efficiency are thought to be related to different conditions in the ‘new’ cell cultures, including unfamiliar patterns of gene expression to which the mod mRNAs may not be adapted. Therefore, a team of researchers from the University of Colorado School of Medicine and the University Medical Center of Groningen came up with a new strategy to ‘standardise’ the efficacy of a mod mRNA-enhanced ‘cocktail’ of re-programming factors across any cellular environment. This would be done by adding miRNA 367/302s, a molecule found exclusively in embryonic stem cells, to this cocktail. miRNA 367/302s is found in human and mouse embryos and perpetuates a stem-cell state through the expression of OCT4 and the suppression of the gene HDAC2. The researchers found that their new ‘cocktail’ enhanced the re-programming of de novo fibroblasts donated from a human subject (i.e. primary fibroblasts), resulting in an efficiency of 90.7% for individually-plated primary cells and a 100% success rate. Furthermore, the new technique could also re-programme at low densities of the primary cells, and generate thousands of new iPSC colonies from as little as 500 original cells. They also tested it with fibroblasts from five further adult donors, including one person with Down’s syndrome and another with a skin condition. This met with success, even though there were fewer viable primary cells available due to the advanced senescence associated with the two conditions. In addition, given that the other three volunteers were aged between 40 and 60 years, it appears that the new re-programming technique is applicable to people of various ages. The team were also able to convert their iPSCs into skin-specific neurons and endodermal cells. The team also reported that they were unable to re-programme conventional BJ cells using their cocktail, which is interesting as the converse is usually true for iPSC cells. This may have been due to the modified mRNAs themselves, which in this case were integrated into a modified form of OCT4. This was found to be cytotoxic in the de novo primary cells. However, establishing an optimised balance of this factor with the other cocktail components resulted in appreciable cell survival so that re-programming could take place. On the other hand, it may also be a sign that fibroblasts that are repeatedly cultured and stored in the long term become less of an analogue to ‘fresh’ primary fibroblasts in vivo or in vitro. This interesting foray into improved iPSC generation may result in stem cells that are acceptable for use in clinical applications and studies. This may lead to definitive and reproducible techniques that can provide ‘replacement’ skin (or other tissues) for patients with acute or chronic injuries in the future. In short, this method of adult stem cell generation could inform the medical services of the future. Wernig M, Meissner A, Foreman R, Brambrink T, Ku M, Hochedlinger K, et al. In vitro reprogramming of fibroblasts into a pluripotent ES-cell-like state. Nature. 2007;448(7151):318-24. Schlaeger TM, Daheron L, Brickler TR, Entwisle S, Chan K, Cianci A, et al. A comparison of non-integrating reprogramming methods. Nat Biotechnol. 2015;33(1):58-63. Anokye-Danso F, Trivedi CM, Juhr D, Gupta M, Cui Z, Tian Y, et al. Highly efficient miRNA-mediated reprogramming of mouse and human somatic cells to pluripotency. Cell stem cell. 2011;8(4):376-88. Kogut I, McCarthy SM, Pavlova M, Astling DP, Chen X, Jakimenko A, et al. High-efficiency RNA-based reprogramming of human primary fibroblasts. Nature Communications. 2018;9(1):745.